Canadian writer Margaret Atwood will participate in a new business course being offered this winter at the University of New Brunswick. Entitled The Environment, Society and Business, the course will focus on issues of sustainability, and will include writings, films, and speakers from different disciplines including the arts, biology and business. Along with Atwood, the guest lecturers will explore the environmental, economic and social dimensions of the impact our business practices and life styles have on the environment. 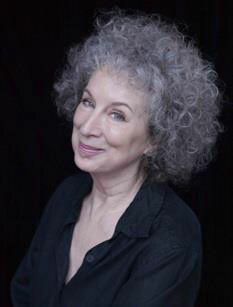 Ms. Atwood will deliver the opening and closing lectures for the course via Skype from New York. The opening lecture will take place Monday, Jan. 21, at 11:30 a.m.
"Sustainability, in all its forms, is a topic of great and growing interest, throughout the business world,” said Rob Austin, dean of the faculty of business administration. "By involving Margaret Atwood in our sustainability course, we address the issues head on and in a manner we believe might be unique among the world's business schools." The course will help students understand how businesses and private individuals alike need to manage and consume our natural resources responsibly. Students will also learn about innovative business practices and technologies that are reducing consumption and contributing to the renewal of resources. Ms. Atwood is the author of more than fifty volumes of poetry, children’s literature, fiction, and non-fiction and is perhaps best known for her novels, which include The Edible Woman (1969), The Handmaid's Tale (1985), The Robber Bride (1993), Alias Grace (1996), and The Blind Assassin, which won the prestigious Booker Prize in 2000. Atwood’s dystopic novel, Oryx and Crake, was published in 2003. The Tent (mini-fictions) and Moral Disorder (short stories) both appeared in 2006. Her most recent volume of poetry, The Door, was published in 2007. Her non-fiction book, Payback: Debt and the Shadow Side of Wealth, part of the Massey Lecture series, appeared in 2008, and her most recent novel, The Year of the Flood, in the autumn of 2009. At least two of Ms. Atwood’s novels will be required readings for the course, Payback: Debt and the Shadow Side of Wealth - which was featured in the the 2008 CBC Massey Lectures—and Oryx and Crake. "It's been said that it is the poets who have the clearest view of our future," said Dr. Austin. "Ms. Atwood is surely one of the world's most imaginative and provocative thinkers about how business and science might influence our society's future, so we think this course will command great student interest and be incredibly relevant to their careers." The Environment, Society and Business is being coordinated by Dr. Rebecca Angeles, professor of Management of Information Systems with the Faculty of Business Administration at UNB. The course will run on Mondays and Wednesdays from 11:30 a.m. to 1:00 p.m. and is open to all students at UNB and interested members of the public. For more information please contact Liz Lemon-Mitchell.